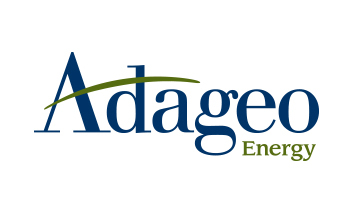 Mr. Womack is the Managing Director of Adageo Management, LLC, the general partner of Adageo Energy Partners and a co-founder of Adageo Energy Group, LLC. He is the former Chairman, CEO & registered General Securities Principal of Direct Capital Securities, Inc., a FINRA Member Firm and he is a Founding Director of the Tenant In Common Association (now known as “REISA”). He is also President of Pacific Security Management, Inc., an investment management company, which operates a real estate fund and an energy fund. He has served as an Executive Committee member of the SEC’s Government-Business Forum on Small Business Capital Formation and as a Member of the California Department of Corporation’s Commissioner’s Advisory Committee on Securities Regulation and Capital Formation. Mr. Womack has advised several major real estate firms including CB Richard Ellis, Kearny Group (affiliate of Morgan Stanley) and the Adler Group, among others, on the structure and distribution of marketable Tenant In Common programs for the 1031 exchange marketplace. Through Direct Capital Securities, Inc., Mr. Womack has structured and directed the placement of over $2 billion in marketable Tenant in Common interests in real estate. Mr. Womack has also advised several energy firms about the structure and distribution of energy investment products for the investment community as the lead banker on over $500,000,000 in energy equity and debt placements since 2005. Mr. Womack has made presentations at events sponsored by such organizations as the Federal Reserve Bank of Dallas, the Securities and Exchange Commission, the California Capital Access Forum, the Small Business Capital Access Association, the Los Angeles Venture Association, the Los Angeles County Bar Association, the UCLA Real Estate Forecast, the Texas Growth Capital Conference and the European Private Equity Group. Mr. Womack was a co-founder and served on the Board of Directors of the Tenant In Common Association and served on the editorial board of E-Securities, an industry legal publication. Mr. Womack is a member of the Texas Independent Producers and Royalty Owners Association. Mr. Womack studied Petroleum Land Management at Stephen F. Austin State University and received a BS degree in Business Management from Pepperdine University where he also served on the Graziadio Business School Board of Visitors.